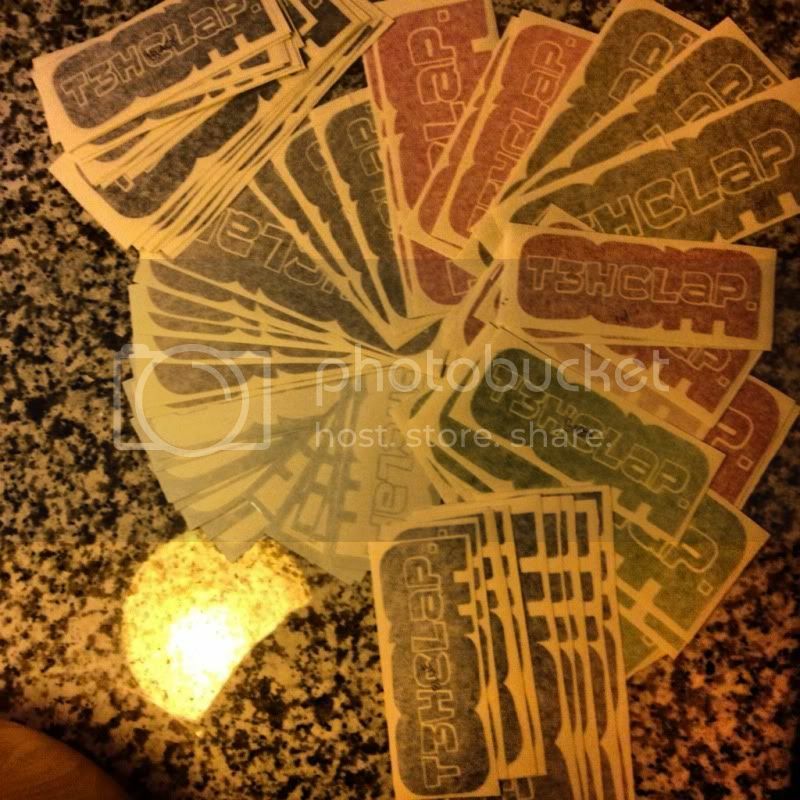 T3hClap.COM stickers now available online! Pick your size and color from the drop down below. Quantity can be adjusted on the PayPal side. The new cheaper $1/$2 pricing is to show support for our fans. Please include 2nd choice color in comments in the event a given color is sold out.